Karl Marx (1818-1883) founder of Marxism an influential political science which was highly critical of capitalism. The ideology of Marx and Communism shaped the Twentieth Century. 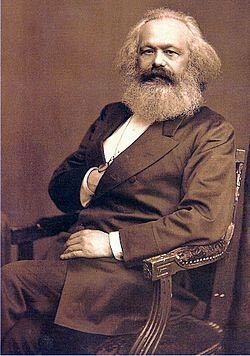 Karl Marx was born 5 May 1818, in Trier in western Germany. His father was a successful lawyer who had converted from Judaism to Christianity in order to help his law career. At the age of 17, Karl Marx enrolled in the University of Bonn to study Law. He was not the most diligent student, enjoying drinking societies and meeting friends. His father eventually had him transferred to the University of Berlin, which had a stricter reputation. During his time at University, Marx increasingly became attracted to radical ideas and philosophies. For a time he associated with a group known as the ‘Young Hegels’ Those students who rejected the ideas of Hegel. Karl Marx married Jenny von Westphalen, the educated daughter of a Prussian baron, on June 19, 1843. Shortly after this, he moved to Paris to escape the censorship of the Prussian government who were increasingly cracking down on left-wing agitators. Paris in the 1840s was a hotbed of revolutionary activity. Here, Marx met many revolutionaries such as Frederick Engels – an English radical. These two were to become lifelong friends and supporters; Engels would later become the chief financial support for Marx. Engels wrote an influential book The Condition of the Working Class in England in 1844. This helped Marx develop his idea of a proletarian revolution. This led to Marx’s first work – Communism Economic and Philosophical Manuscripts of 1844. This philosophical work sought to show Communism as a moral force for good to overcome the alienation of labour under capitalism. Marx also became interested in the development of history and the changes which inevitably passed through society. 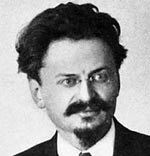 He termed this idea – historical materialism. Marx increasingly began to believe that a Proletarian (Communist revolution) was not just desirable, but, an inevitable consequence of historical evolution. This period led up to Marx and Engel’s most famous work – A short pamphlet titled ‘ The Communist Manifesto‘. Unlike the majority of Marx’s work, this Manifesto was short, to the point and included fiery, inspirational language, designed to awaken the desire for revolution. After the revolutions which swept Europe in 1848, Marx increasingly found himself under suspicion and scrutiny from French and Belgian authorities. He decided to flee to London and continue his work from there. In London, Marx became more involved with the burgeoning Communist Movement. He was influential in the First Congress of the international, where he sought to argue against the anarchist wing led by Mikhail Bakunin. 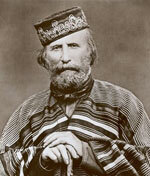 Another influential event was the Paris Commune uprising of 1871, though defeated after two months. Marx enthusiastically supported this as being a forerunner of future Communist revolutions. Marx spent considerable time in the British Library researching political economy. This led to his deepest work – Das Capital – a dense and thorough examination of Capitalist society and economy. Marx also sought to examine all aspects of life from his new Marxist analysis. For example, he sought to show religion was merely a tool of Capitalist society to keep the workers under the thumb. Following the death of his beloved wife, Jenny, in 1881, Marx’s health deteriorated and died from Bronchitis and Pleurisy in 1883. 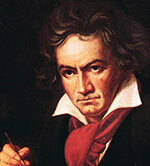 He was buried at Highgate cemetery London. Citation: Pettinger, Tejvan. 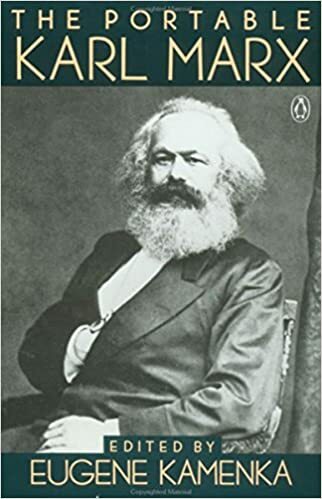 “Biography of Karl Marx”, Oxford, UK. www.biographyonline.net, Published 1 February 2011. Last updated 11 February 2018.